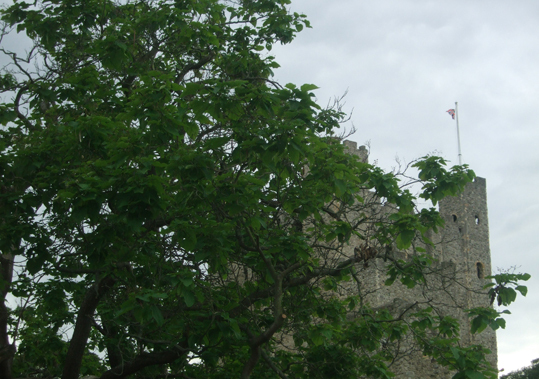 After going to see the Medway Megaliths earlier this month, I couldn't resist paying another visit to the catalpa tree outside Rochester Castle, as it is only a few miles away. 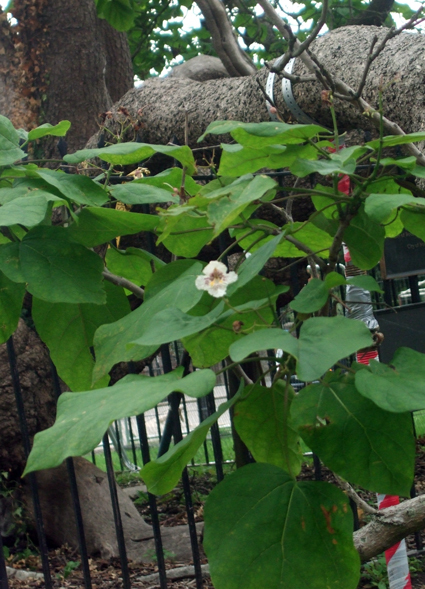 I photographed the catalpa tree last year in spring when it was still bare and I wanted to see what it looked like in leaf. To be honest, I was a bit worried that it had died. Well, as you can see, it is still alive and not only in leaf but also in flower. However, the poor old tree is in serious risk of collapsing. It is now surrounded by a much larger wire fence. 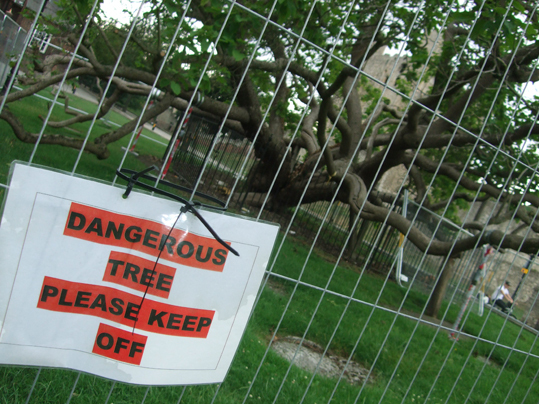 Mind you, it reminded me so much of the Whomping Willow in Harry Potter that I did wonder if the sign saying "Dangerous Tree" was there to warn people of a bit more than falling branches.